The Treefrog design happen as I was trying to figure out where else I can put my talent at full. Two years ago 3D home printing was at the beginning of its revolution, so I studied modelling issues in order to create a nice organic shape that could push on these challenges and allow a new way to compare printers and materials. I’m quite overwhelmed by the response of people around the world. It’s incredible to see people in other countries collaborating with me to the same goal. They can’t stop to impress me, even today. It’s always a moment of joy to see the new ways 3D printer users are experimenting through this model. 3D printing calls for tons of ideas. I took a step further, and I started to develop some of these to use for other people. I hope they’ll get the same enthusiasm as I got in that moment I though of these designs. 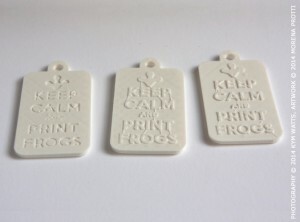 And so it goes first my big thanks for all the people that made their 1st prints with the Treefrog, to all these that show how 3D printing work through it, and to who chose it as their preferred calibration tool. I made some objects based on the Treefrog design, that I hope you’ll all love and laugh to see, in the understanding of its meaning: we tried, we failed, we succeeded, we are still discovering, exploring and creating through 3D printing. Limitation are challenges to be solved. 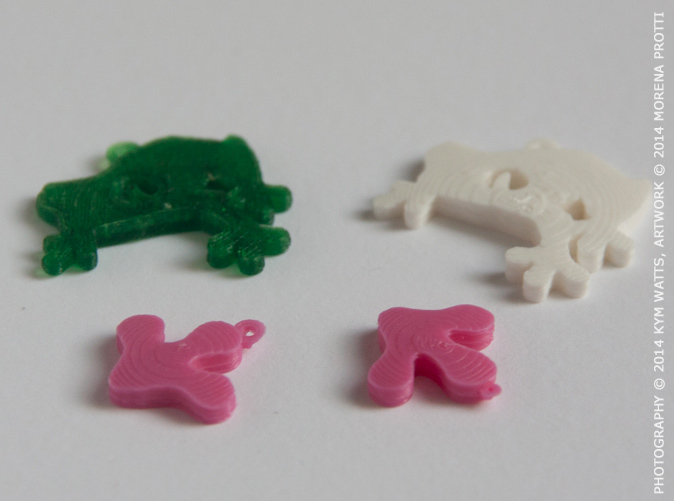 They’re avialable on Shapeways to custom print in a wide variety of materials, or on Etsy already printed in a limited selection of materials. I love the layering that come out of the Steel, because it adds character while reminding us that it’s 3D printed. 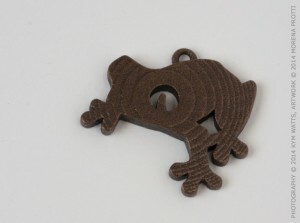 Treefrog Shadow & Foot prototypes through Kym’s Ultimaker. 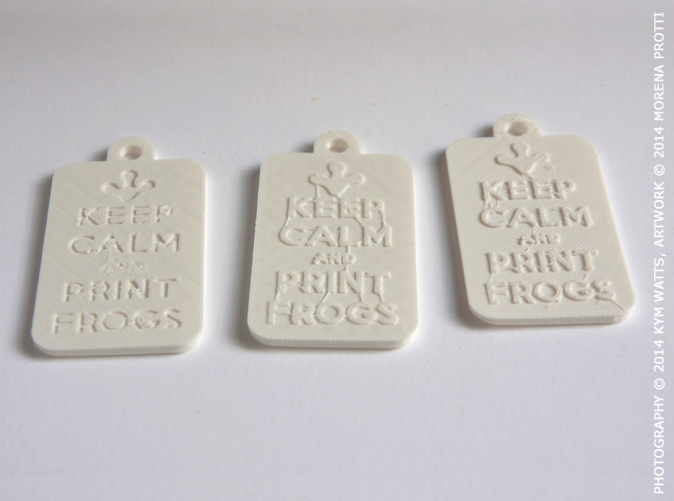 KeepCalmAndPrintFrogs : developing steps. Print prototyping through Kym’s Ultimaker. I take the chance to Thanks all my friends and family that supported me along this path, and that had so much patience in see this project being brought to light!